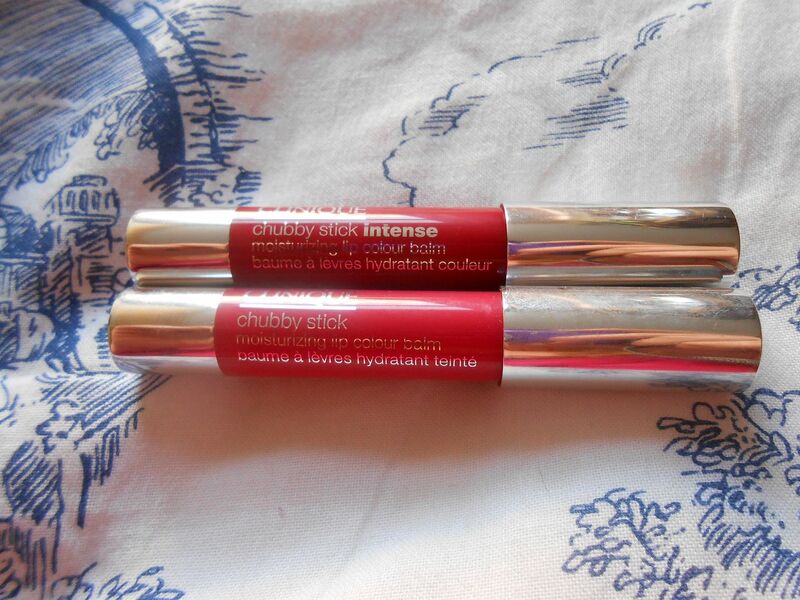 My Mum, my grandma and I are all big fans of the clinique chubby sticks, along with lots of other beauty junkies! They’re essentially crayons of moisturising lip product, that apply sheerly. I have three (a pink, a red and a purple) and I love them. They can be built up, but the colour is never going to be strong. So when I heard Clinique were launching a new range, of intense chubby sticks, my ears pricked up. I eagerly waited for their release, and I have not been disappointed! The colour is immediately more vibrant, and so the colour in the ‘bullet’ is the colour you get on your lips! Many of the original chubby sticks looked bright but the colour wasn’t as strong as it looked. The finish on both of these is the same though – it’s moisturising and glossy. I thought that the intense ones would be more drying, but not so! Both products are un-scented, which is one of Clinique’s ‘things’. If you treat the new intense chubbies as a lip product on its own, it’s great. 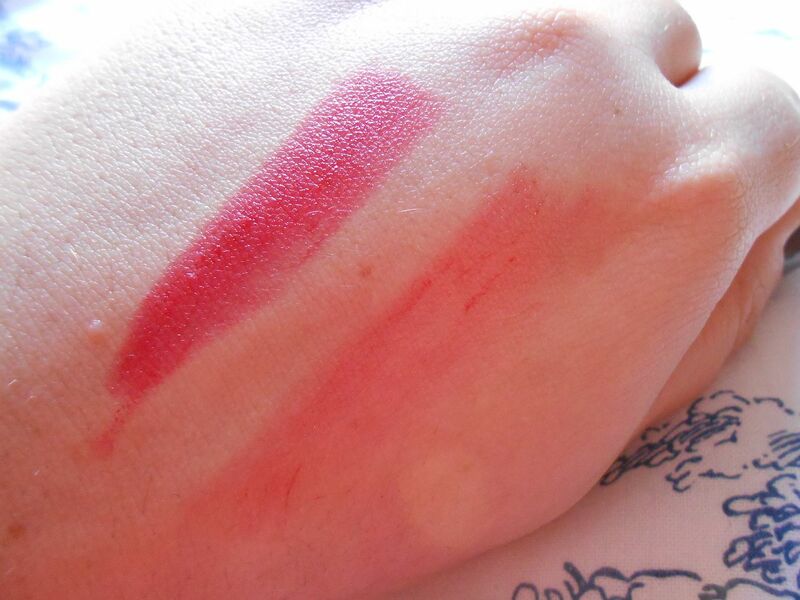 They’re pigmented, moisturising lipsticks. My favourite! I got mine from Boots, and they’re also available from the Clinique website for £16. Products I've hit pan on lately!